Cardio is a great component of exercise to get a slim body. Go for it if you need to shed a few extra pounds. It works by increasing your heart rate and burning the calories in the form of glucose and fat. But not all types of cardio are good for weight loss and your health. Research says that moderate-intensity cardio is not as effective as high-intensity cardio, and it leads to muscle loss and hurts your joints (1). 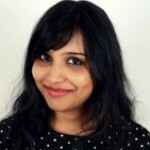 So, what are the high-intensity cardio exercises for fat loss? 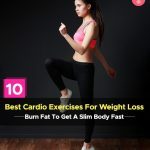 Give this post a read to know the 10 best cardio exercises for weight loss and get back in shape. Swipe up! Set your treadmill at a 3-degree incline and start by running at a speed of 6 mph. After 1 minute, increase the speed to 9 or 10 mph. Increase the speed up to 14-15 mph and continue the sprint for 30 seconds. Slow down to 10 mph and keep running for 3 minutes. After 3 minutes, sprint for 30 seconds. You can do a number of exercises at high-intensity – like burpees, jumping squats, jumping lunges, high knees, and step jumps. Make sure you are doing these exercises in the correct form. Do a set of 10 reps of each exercise and then take a 10-second break. Do not extend your break period. Grab the handle of the rowing chord and sit on the rowing machine. Place your feet on the footrest. Keep your spine straight, shoulders rolled down, and chest out. Engage your abs and back muscles and pull the handle or the bar toward your abs. Stop when your elbows are behind you. Squeeze your shoulder blades. Make sure you are not leaning back. Tip: Make sure you use the right amount of weight and the correct technique to do this exercise. Grab a handle with each hand. Flip the rope over your head to your back. Start hopping at a low speed and jump the rope. 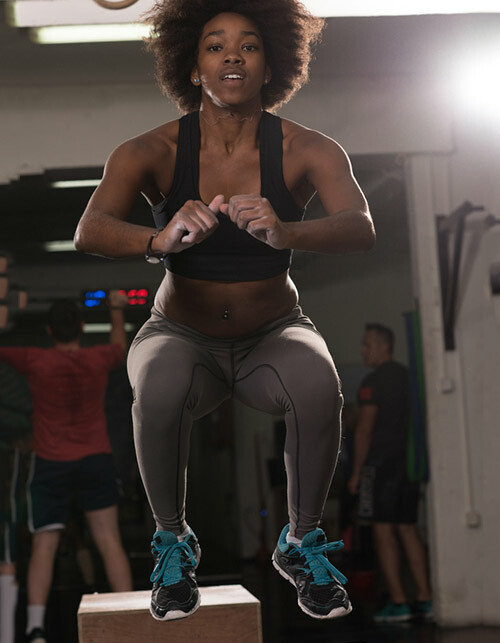 After finishing 25 jumps, increase your speed and jump the rope 50 times. Start jumping the rope again. If possible, jump and fold your legs to touch your heels to your hips. Wear a swimsuit, a cap, and swimming goggles. Do about 10 laps so that you engage all the muscles and get a good workout. 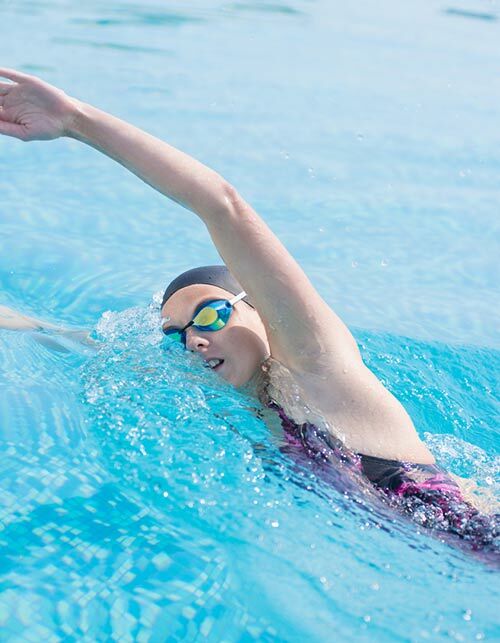 Learn other strokes to help you swim faster and burn more calories. Start walking at 5 mph. After a minute, increase your speed of walking to 7 mph. Continue walking for 5 minutes before you slow down to 4 mph. Walk for a minute at 4 mph and then increase the speed to 7 mph and walk for 5 minutes. Tip: If you are walking on a treadmill, try different incline angles so that you get an intense workout in 30 minutes. Start by sitting on the bike. Be comfortable. Start pedaling at a medium speed. After about a minute, increase your pedaling speed so that you feel the burn in your thighs in just a minute or two. Do not stop pedaling for 3 minutes. Slow down a bit for a minute and then do high-speed biking for 3-5 minutes. Tip: If you are comfortable, put some resistance in your stationary bike so that the workout is more intense. This is a mix of cardio and muscle building strength training. Grab a kettlebell (not too light or too heavy) and use it do squats with kettlebell lifts, plie squats, walking lunges with turns, walking lunges with one hand kettlebell lifts, etc. Adding weights will provide you with the perfect resistance to help you burn more calories. Start by walking up the stairs. Start climbing every other step. Next, climb the stairs by lunging. Variate the forward lunges with lateral lunges. End the set by running up and down the stairs once. Take a 10-second rest and then go for your second set. Step on the elliptical machine, hold a handle with each hand and start pedaling. Press the quick start button and add resistance to level 2. Keep breathing while you keep moving as fast as you can. Pedal backward with the same intensity. 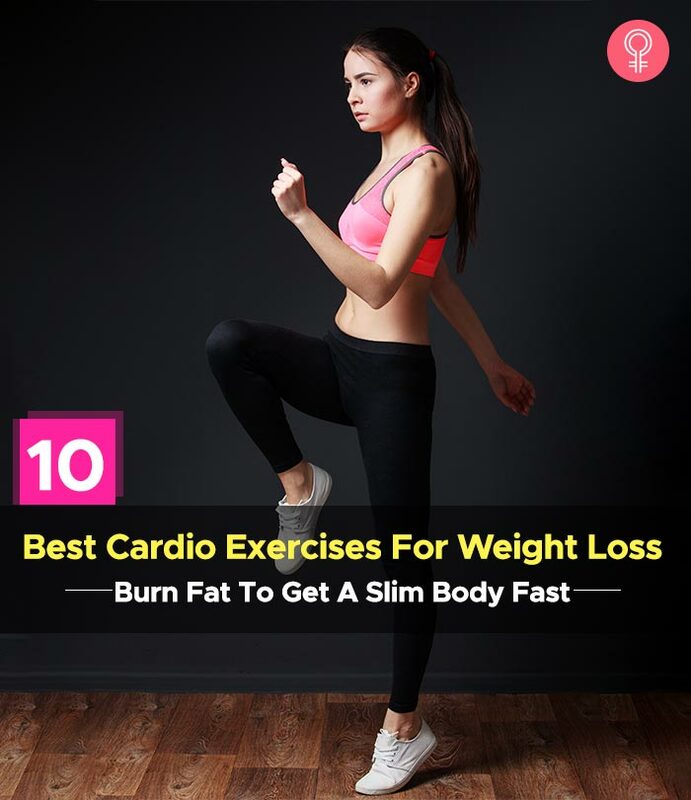 So, there you have it – 10 best high-intensity cardio workouts that will help you shed some fat. Before you move on, take a look at the guidelines for training in cardio exercise. Get your body accustomed to the high-intensity exercise. If your body is not used to doing high-intensity cardio, you may end up injuring yourself. Follow the correct technique. Take your time to learn the correct posture instead of just doing 100 reps. Because 10 reps will give you better results and prevent injuries. Breathe in and out. Just because you are running or rope jumping at high speed, it doesn’t mean you have to buy a high-speed ticket to heaven! Breathing in and out will also maximize your efforts to lose weight. Drink a pre-workout drink. No, not energy drinks that you get in the supermarkets. Just a glass of ice water with your favorite citrus fruit squeezed in will be plenty to prepare you for your workout. Drink water throughout the day, before and after your workouts. Engage your muscles. Without engaging or contracting your muscles, you will not be able to target a specific area. 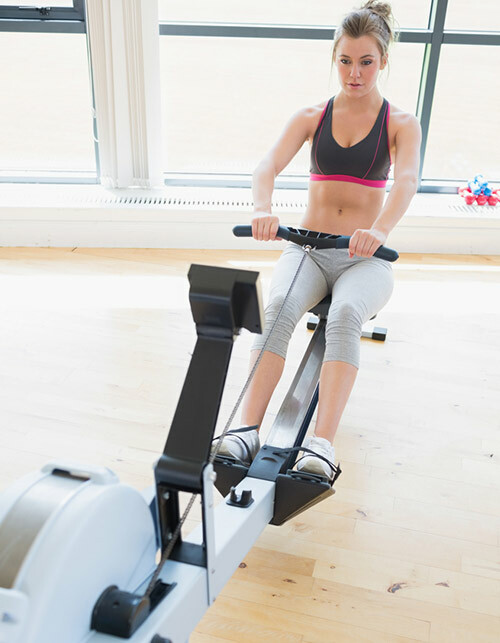 For example, while doing rowing, you should engage your legs primarily, but you can also contract your shoulder blades to activate and work your lat muscles. Do not overdo cardio. Overdoing any exercise, especially cardio, is not good for your muscles and joints. Mix your workout routine with strength training and stretching exercises so that your body gets a whole range of motion. Wear good shoes. Shoes are very important when it comes to doing any cardio exercise as they protect the soles of your feet and your knees. Stay hydrated. Sip a little water every 20 minutes to keep yourself hydrated and keep your stamina up. After you are done with your workout, make sure you continue to rehydrate and refuel. So much effort and just weight loss? Nope, you’ve got more benefits than just weight loss. Take a look at the list below. To conclude, high-intensity cardio for 30 minutes, three to four times a week, is a great way to kickstart your goals, whether it is weight loss, weight maintenance, or just getting in better shape. These exercises target all the muscles in your body and help you attain the best fitness level and the best body you ever could imagine. So, go ahead and beat it! Cheers.